Fashion: Boux Avenue Swimwear and £100 Voucher Giveaway! Floral Bikini Top - £28* Floral Bikini Briefs - £15* I think bikini sets from Boux Avenue are well worth spending a few extra £'s on. I think you want to feel super confident in a bikini a more expensive one is worth 100x more then picking up a cheap one in somewhere like Primark. I'm absolutely in love with the pattern of this bikini and I can't wait to wear this on my holiday with my boyfriend to Greece next month! So for all you girlies who want to look extra hot on the beach this summer, this competition is for you! Boux Avenue are giving Fashion-Train readers the chance to win a £100 voucher to spend on a few bikinis for your summer wardrobe! All you have to do is follow me and Boux Avenue by our social media channels here via rafflecopter. 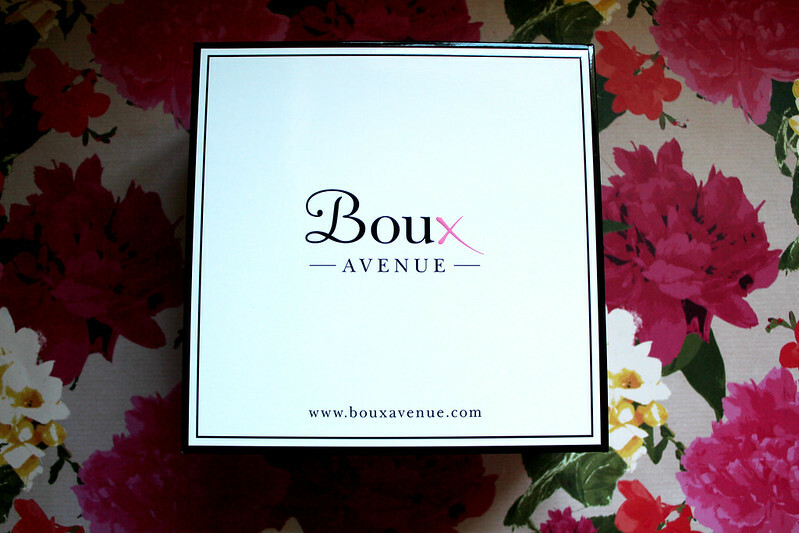 Never tried Boux Avenue products before but I've heard lots of good things! Oh my goodness, I'd love to win this! I adore Boux Avenue, and this would be perfect for my holiday in August. I'd definitely get the Naples Crochet set, it's so cute and I'm loving crochet at the moment. Eek hope I win! Thank you for an awesome giveaway! I would treat myself to the South Pacific floral longline bikini top and matching South Pacific floral bikini briefs! Thank you! I like the naples crochet one! I'm in love with the South Pacific bikini set! Big fan of Boux Avenue, great choices for us bigger busted ladies! Santana bikini briefs & Santana sling bikini top. I'd have to spend it on the Tahiti Floral bikini set!! It's beautiful, bright and full-on summer! I think I'd have to go for the Hollywood gingham bikini, very 50s! OMG! Love Boux Avenue! I'll be going on holiday to Italy in a few months so it would be amazing if I could get something tropical from the South Pacific Floral Range or the Valencia set to wear whilst I'm there! So excited! Fingers & toes crossed! I love the Paris Style tankini and bottoms, love blue and white stripes. Love Boux Avenue - I can remember shopping there the very first week they opened! Lots of pretty pieces but I love the Biarritz frill in orange! The South Pacific floral longline bikini top and matching South Pacific floral bikini briefs look gorgeous. Awesome giveaway! I'd spend the voucher on some cute new pyjamas and the Hollywood gingham bikini set in red- it's soooo pretty. I also love the Narita tie-dye design. Honestly can't choose. It would be a very hard decision as they are all SOOO nice! I would probably choose the south pacific bikini for my daughter, I am way past bikini days! The South Pacific bikini is my favourite. I'd get the Flores or South Pacific one for my girlfriend. Everything is lovely, but I would probably pick the south pacific bikini! Oo I'd be torn between the one you chose or the Hollywood gingham set, both gorgeous! Oh I LOVE Boux! I would spend the money on a new pair of pyjamas, a couple of new pairs of bras, a new bikini for my holiday in august and some of my fav knickers from there! I can't wait for next payday when I can splurge on some new underwear and pj's! Either the Mauritius matte set or the bright green aruba set! The milano digital floral is beautiful! I would love the South Pacific bikini. I would love the Miramar bikini set! Love Boux Avenue. They are always bringing out new ranges that I just have to buy. £100 would make a nice dint in my wish list. I really love the Flores floral set. I would love the Aruba and Costa Rica sets! I love the Aruba Set, such a gorgeous colour. The hollywood gingham set definitely! I'd buy the Tahiti Bikini Set, it's gorgeous and defo my fave. I'm in love with the santa barabara red polka dot bikini, it's so retro! I'd wear it all the time on holiday! As it's such a bargain, I'd also go for the gingham in pink. Gorgeous!